The Consolidated Sponsored Occupation List (CSOL) is a single list of occupations which replaces the State/Territory Nominated (STATSOL), the Employer Nomination Scheme (ENSOL), Subclass 442 Occupational Trainee and the Subclass 457 Skilled Occupation Lists and determines occupations that applicants can nominate under these programs from 1 July 2012. Not only does this make it easier for the visa applicant to find the right list, it also means for some 457 visa holders who were not able to apply for an ENS visa under the old rules that they are now eligible for permanent resident under the Employer Nomination Scheme. For example, the occupations of “Customer Service Manger” and “Restaurant Manager” were previously on the 457 list but not the ENS list under the old rules. Now both these occupations and many others appear on the new consolidated list. It is now possible to commence on a 457 with greater confidence with the knowledge that the same occupation with be on the ENS list when ready to apply for ENS at a later stage. Furthermore, with this new CSOL List, current 457 visa holders whose nominated occupation was not on the ENS list prior to 30 June 2012, now may very well find that their occupation is on the new list. This will provide a great opportunity to apply for permanent residency. 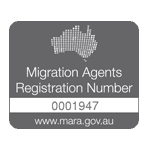 Check with us at info@australiamigrate.com if you are now eligible to apply for Permanent Residence.